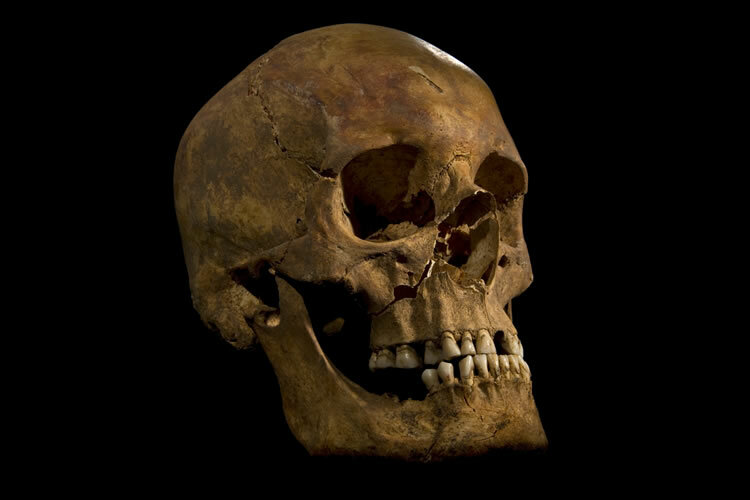 Over the course of this morning, thousands of people will gather in Leicester for the re-interment of the bones of Richard III. Many more – hundreds of thousands certainly – will watch proceedings on TV as Justin Welby, the Archbishop of Canterbury, and the actor Benedict Cumberpatch speak at the ceremony. What does it mean, though? Two patrician voices, pure and incantatory in their privilege, orating over the boxed skeleton of a man who reigned for a mere two years and whose claim to the throne was, to put it mildly, dubious? Why does this matter to us? Because, clearly, it does. All the evidence suggested that Richard’s bones were buried behind the altar of the Greyfriars in Leicester. There was good evidence to show where that altar was. There is a reason, after all, that the archaeological team hit the late king’s resting place with more or less the first plunge of their digger. But if anyone, other than the indefatigable Philippa Langley of the Richard III Society, cared you could have been forgiven for not noticing. There were hardly queues around the car park. But now his bones are out in the glare of the arc lights and the whirr of social media it seems he is important to us. Is it something about the bones themselves? One of the most memorable sequences from the Channel Four documentary about the archaeological dig was the sight of Philippa Langley overcome with emotion at the sight of her long-sought desiderata, the bones of her hero. laid out cold in a laboratory. She had to leave the room. The depth emotion was at once laughable and entirely understandable. Because it is true. There is a vulnerability about skeletons that echoes in us all. They are curious things, human bones, signifying both strength and frailty, vulnerability and resolve, death and life. We know this is what we all come to, in the end. We can feel the pressure of our bones beneath our skin. We know our flesh is weak. It hides nothing. But bones, for all their metaphorical resilience, are things of tenderness and reverence, too. If there is anything sacred about our concept of human life, it lives on in the sad and resolute indifference of our skeletons. Empty of individuality except under the expert’s miscroscope, they are nonetheless intensely human. We tend to share still, almost 500 years later, Thomas Cromwell’s scorn at the Catholic taste for relics and such. But are we really any different? What is the new tomb of the last Plantagenet but a vast and vulgar reliquary for the bones of a king remembered for little more than infanticide and the stentorian camp of Laurence Olivier’s unflattering portrayal? Perhaps the funeral – the divine glamour that hedges a notionally royal body with grace – is no more than a national memento mori, a reminder of what little we are, each of us, but also – paradoxically – a reminder of the triumph of memory, that most tenuous and elusive of things, carried down on oral and written histories, forgotten, abused, disdained and championed, and of the tenacity of human life too. After all, the men who fought and fell with Richard III are lost. The bodies of his victims are mostly gone. The men and women who died over the long dynastic struggle that his death marked the close of – all of them, these ancestors who died in their tens of thousands for little reason and less reward – they are all lost to us. But these bones, these bones of his, they have seen 21st century air and light. We have seen them. The curve of the spine. The death wounds to the unprotected skull. He has been lain out for us in his nakedness and we have seen him, this sometime king of ours. It is, in many respects, an authentic medieval experience. A hyper-medieval experience. We have seen his vanitas for what it is, as his contemporaries never quite would. What royal dignity, what grace, what power he had is surely gone. The pomp and ceremony serves to highlight that, paradoxically. All this shameful expense over a waste of bones. He is one of us now. Human. Broken. Frail. Dogs could dismember him. Children would, too, offered the chance. Is this what all that bloodshed was for, Richard? All that ambition? To be carried through the streets of an unremarkable city far from any seat of power, the height of your glory a tourist attraction, a road sign, a minor detour for the SatNav in days and years to come? We are all Richard, on this reading. We are burying and commemorating something of ourselves today. Vain, foolish, flawed beyond measure yet somehow, too, overwhelmingly human and explicable in the glory and humiliation of death.